Mayor Joe Hogsett received the 50th Anniversary Chancellor's Medallion from Chancellor Nasser H. Paydar at IUPUI's Report to the Community on January 24, 2019. The award recognizes Mayor Hogsett's significant contributions to IUPUI, for his leadership within the city of Indianapolis and beyond, and for the role he has played in the 50 years of impact IUPUI has had on a local, national, and global scale. 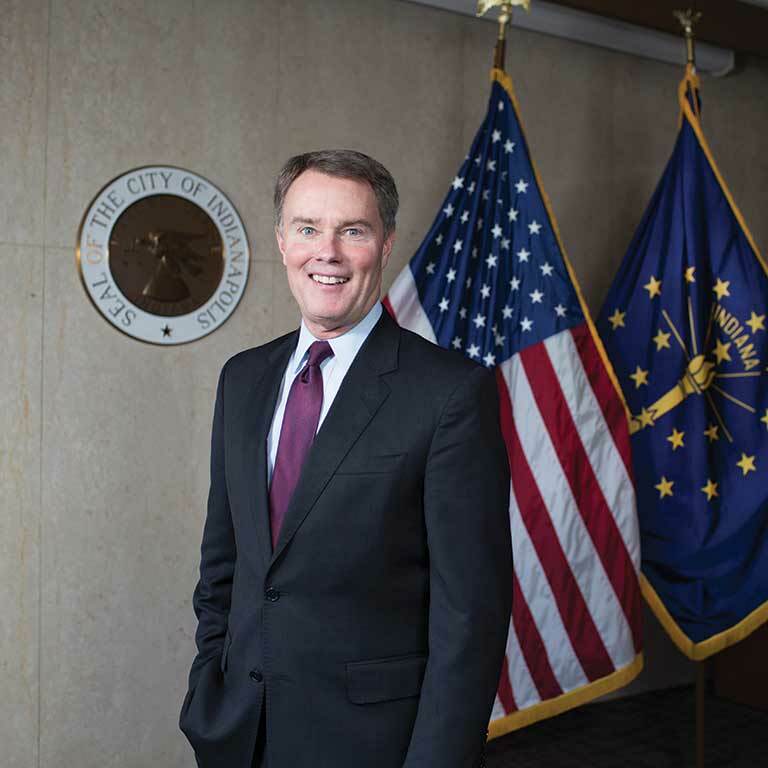 Born in Rushville, Indiana, Mayor Hogsett has lived and worked in Indianapolis for almost four decades. He served as Indiana's Secretary of State from 1989 to 1994 and was the chairman of the Indiana Democratic Party from 2003 to 2004. Hogsett served as the United States Attorney for the Southern District of Indiana from 2010 to 2014. On November 3, 2015, he was elected the 49th Mayor of the City of Indianapolis. Mayor Hogsett received his bachelor's degree from Indiana University before earning graduate degrees from Indiana University, Butler University, Christian Theological Seminary, and a law degree from the IU Maurer School of Law. He earned a master's degree in history from IUPUI in 2007.